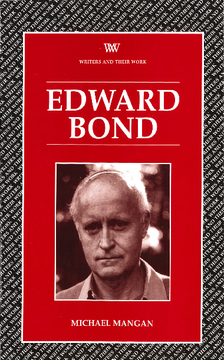 Edward Bond has been, since his controversial arrival on the theatrical scene in 1965, one of Britain’s most distinctive and important theatre writers. This study examines his work, from The Pope’s Wedding (1962) to Coffee (1995). It gives an overview of the development of his distinctive dramatic language and style, and looks at his experiments with various theatrical forms and genres. It examines, too, the ways in which Bond’s insistence upon the necessity of the drama as an agent of social evolution have determined his development as a dramatist. There are sections which situate Bond’s work within its wider theatrical and political contexts, and which explore his concerns with issues such as violence, technology and social evolution, as they are expressed in plays such as Saved (1965), and Lear (1971). The study also deals with Bond’s continual dialogue with our cultural history – with the ways in which he rewrites classic plays and plunders familiar theatrical genres in order to demythologize the past. Michael Mangan is Senior Lecturer in Drama at Loughborough University. He has taught and lectured widely, including universities in the USA and Poland and has also worked as playwright, director, literary manager and radio critic. Among his publications are: Christopher Marlow’s Doctor Faustus: A Critical Study(1987), A Preface to Shakespeare’s Tragedies (1991), A Preface to Shakespeare’s Comedies (1996), (ed.) Threads and Other Plays (1990).